Owning a home is a fulfilling achievement for any individual. You suddenly become the owner of your own plot of land that is yours to use and express yourself. The front yard and back yard are more like a canvas waiting for you to get on a creative streak and make your house a home. Taking advantage of this new land is as easy as hiring a deck builder or pool man to show you how to mold the land. The backyard is especially important. It is your private space where you can enjoy yourself or spend time with your family. You can choose to grow plants, build storage, or just loungeand experience the outdoors. The following are some ways you might take advantage of your backyard. Gardening is an age-old pastime for many people. While gardening can be done anywhere, a backyard is probably the perfect place to use your land to create life where there was previously nothing. The best part is that gardening is a hobby that is both entertaining and useful. While gardening, you can either set up a plot of land or try to make yourself into a landscaper. This means turning up soil and setting out pathways to strategize the location of your plants. Deciding on your plants is another great way to enjoy gardening, as each plant has different maintenance demands. Finally, you can start growing your own food to take your gardening straight to the dinner table. Maybe the best way to enjoy your backyard is to take a part of your house and extend it to create an outdoor space that isn’t directly on the ground. Hiring a deck builder to create this space can help you establish a sturdy area for your furniture, grill, and other backyard items. A deck is also great for sitting out and relaxing on a quiet day. You can even have it built with an awning or roof to give you some shade and shelter you from the sun during the summertime. It will definitely be a construction project that you will not regret. 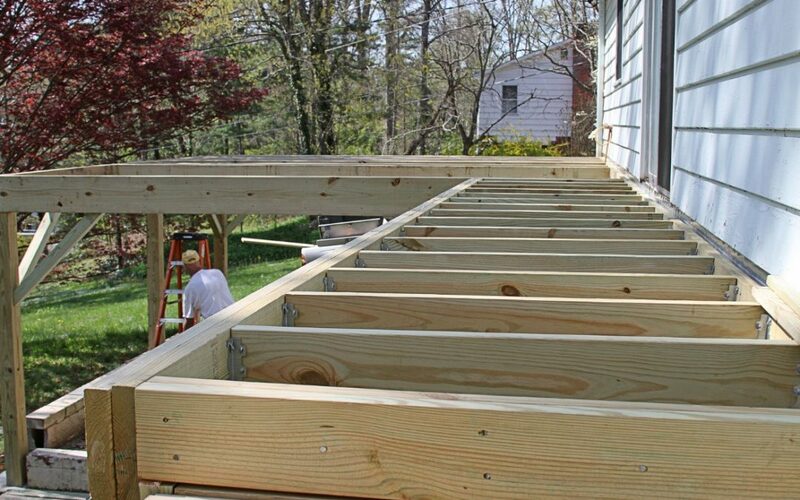 Most decks are built as an extension of the house and are raised from the ground. They are typically made of wood and often include railings surrounding the perimeter to prevent falls. The wood is treated against the elements and can last years before there is any sign of wear. The backyard is a place for family events and gatherings. It is the place where you can undertake big projects or sit out and enjoy the outdoors. There is a wide variety of ways to take advantage of your house’s back yard, and it doesn’t have to result in a lot of effort on your part. If you decide to undertake a project, you can always opt for professional help. These professionals can make it so your project is personalized and made to last. Hiring a deck builder or landscaper will help you realize the full potential of your home. A deck is a great addition to a home that enhances the appearance and functionality of your home. It connects your private space to the great outdoors, and offers a fun place for entertaining guests. Adding a deck can be a fun project for your family, as there simply are plenty of ways to upgrade and customize it. Here are some of your options to help you design your dream deck. You can either add a deck in the front or at the back of your home, or even both, as long as you have the space and budget for it. But a backyard deck is more ideal, especially if you’re fond of spending some time gardening or dining in your backyard. Having a front yard deck would be nice too, but only if your street is not too busy or if you have landscaping to hide traffic. Your deck must blend perfectly well with your home’s architecture. The key to having a beautiful and functional deck is choosing the right materials. 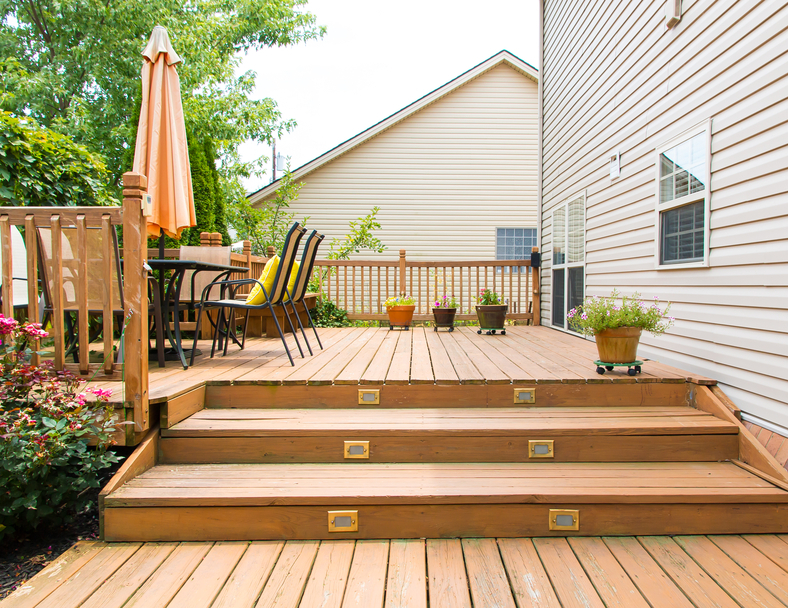 The components of your deck will be exposed to the elements day in and day out, so be sure to choose materials that can withstand extreme conditions. Stained and weatherproofed hardwood is the superior choice, as it is low-maintenance and easily blends well with the surroundings. To make sure that your deck project meets your vision and needs, choose a deck builder in Greeley who will collaborate with you throughout the design process and construction. To make your deck usable, add built-in benches with waterproof upholstery and a small stylish table. If you wish to have a small dining area, play with other materials for the dining set. Wrought iron and wrought aluminum are great alternatives to wood. It will add variety to your deck’s design. Cover the seats with comfy cushions to enhance the level of comfort and style. Spice it up with eclectic fixtures or accent lighting to enhance its nocturnal setting. Once you build a deck that fits your structure and suits your needs, it’s time to add a few accessories to personalize your outdoor living space. Add drama to wood panels by throwing in a rug made of outdoor fabric. Hang planters or bird feeders over your deck roof overhang and place potted ornamental plants against the railing or wall to enliven your deck. Having natural foliage in your deck can make it more comfortable and inviting. A pergola also accentuates the beauty and comfort of your deck and provides additional shading. When designing and adding a deck to your home, many options are available with the help of a deck and fence company in Greeley. You should take your time and research before you begin with construction to avoid making costly mistakes and redoing the layout. Once the project is complete and your vision realized, you can have the outdoor living you’ve always dreamed of.